Everything is more fun when you do it together! 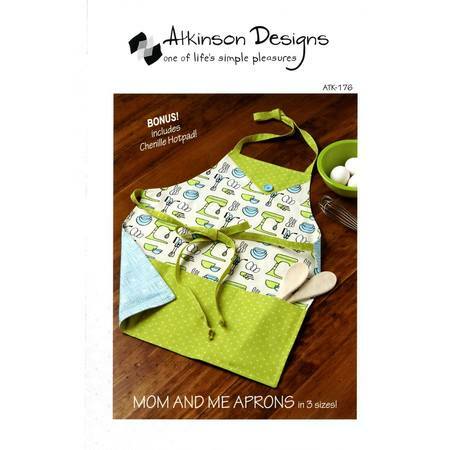 The Mom and Me aprons by Atkinson Designs are perfect for baking cookies with your kids or even your grand kids! You'll love these simple to sew lined aprons with big roomy pockets. Includes pattern for a chenille hot-pad that you can make with your leftover fabric! Also includes pattern for three different size aprons: toddler, child, and adult.